True friendships are forged on the simplest of elements like the bicycle, for an everlasting fellowship on two wheels. 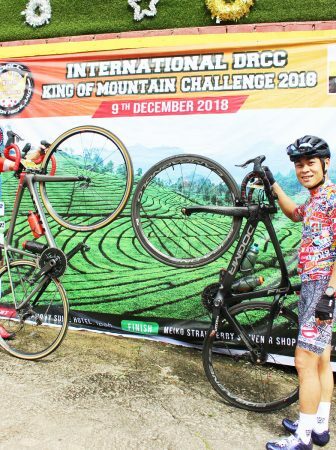 More than 400 cyclists came together from Malaysia and around the world to renew their yearly fellowship in the PCC Interstate, cycling through four states in true Malaysian spirit and hospitality. 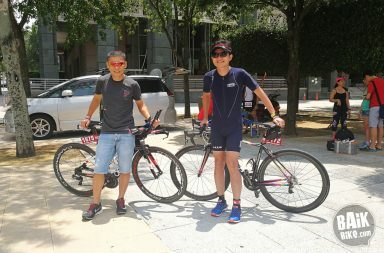 As the sun rose over Cyberjaya, the oldest cycling club in Malaysia, PCC Malaysia organised the 18th edition of the PCC Interstate with a 470km route over three days through various facades of Malaysia. 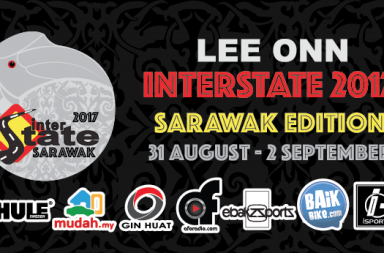 Starting from techno town Cyberjaya in Selangor to the beach town Port Dickson in Negeri Sembilan, Batu Pahat in Johor and historical Malacca. Friends were reunited, traditions were upheld, and new friends were made in to the journey on foldable bikes, touring bikes and road bikes. 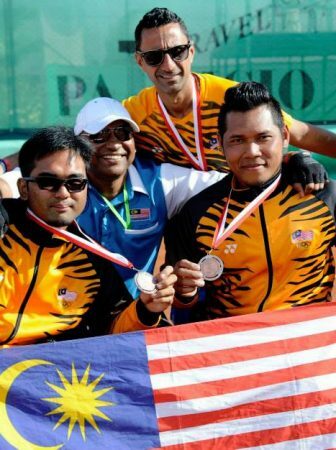 The peloton knows no racial cards, colour or creed. All it asks is for you to saddle up and keep pedalling to play your part to form the smooth cruising machine, beating the rules of aerodynamics. We heard people get lucky numbers at this temple in Broga, Selangor. This time in the Interstate, I brought a different steed in Taiwanese foldable bicycle, the Verge X18 provided by Tern Malaysia. Many roadies were excited at the sight of this bike as it looked like a mini road bike, but wary at its performance over high speeds and long distances. In truth, the faster I rode on this bike, the harder they would try to ‘drop’ me out of the peloton. That indeed, is the true competitive nature of roadies. Sporting smaller 20 inch aero wheels on the Blue Streak, but having a drop handle bar, and a worthy groupset did help in my quest to keep up with the peloton at high speeds. It did require a lot more power from me, and if I had changed to cleat pedals and shoes, I might have been able to keep up more efficiently with less effort. 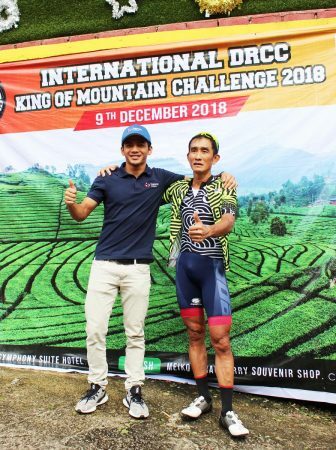 As the rolling hills approached, I took take a more relaxed approach as how foldable bicycles should be ridden, towards the border town of Broga situated on the border of Negeri Sembilan and Selangor for the first state crossing. Tern VergeX18 stopping by a temple in Broga, Selangor. A sweet dessert bowl filled with some treasures buried beneath a syrup glazed shaved ice mountain was the ultimate relief to the cyclists suffering from the high afternoon heat. The un-assuming shack opposite the Broga Police Station, served the best ‘Ais Batu Campur – ABC or Ais Kacang’ and Pan Mee, hand-made noodles in town. The Interstate experience must be fully enjoyed with a bunch of friends on the bicycle, under a tree, or in small shacks, catching some respite along the way. Indeed, misery loves company, but it’s also company which makes the miles pass rather quickly, and you’ll find ‘home’ for the day sooner than you think. And when the weather gets too searing hot outside to repair a puncture, cyclists will make the best of the air-conditioned oasis in the form of Petronas stations. The puncture was a bit tricky to repair, taking 2 tubes and requiring the peloton to relay on the effort. Now that’s called team work. The beaches of Port Dickson were filled with the weekend family crowd, causing the usual traffic congestion. It was indeed lovely to be on a bicycle as you skip the congestion while enjoying the salty beach air, amidst the casuarina trees and the myriads of colours from the kites and floats along the way. Obligatory selfie by the Port Dickson beach with the Tern VergeX18. When in Malacca, I took on a different view by cycling along the Malacca river to Jonker Street just across the Malacca river from the hotel. The hot and dry spell lent a little ‘aroma’ to the river, but the colourful murals and small cafes along the way, will provide ample distraction. Some tourists were sitting at the cafes, and sometimes I had to slow down to navigate amongst the chairs and tables. We made our way to Jonker Street just after a kilometer or so, to fill up on the famous local chendol with durian to quench the thirst, and chicken rice balls for the perfect recovery meal. The streets were filled with people, but when you’re cycling, cars and pedestrians would give way to you, so it was nice to be on a bicycle for once. A cyclist friend had just opened an ice cream shop in Jonker and we couldn’t pass up the opportunity to load up on hand-made ice cream. Durian, the king of fruits and Cempedak might be strongly flavoured fruits, but it’s delectable when made into ice cream, and a crowd favourite. Choices, choices, shall I have rich French Valhorna chocolate, creamy coconut, peanut butter or rum and raisin? You also can also have waffles with your ice cream, or was it the reverse, if you need an excuse to replenish your carbohydrates. We continued towards the ‘Red house’ also known as the Stadhuys, where many locals and tourists alike were taking in the historical significance and recording it in snapshots. Many of the shop houses still bore the original structure from pre-war times, sometimes it feels like a shame when a new shop takes over with modernised architecture. 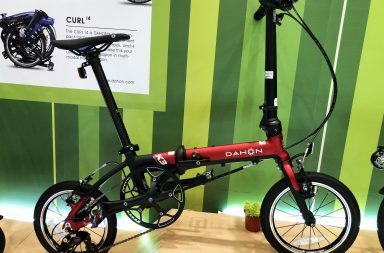 Having cycled four editions of the PCC Interstate before, I experienced had a whole new perspective on the Tern VergeX18 foldable bicycle, a road bike incognito what I like to call a ‘roadiefoldie’. Taking in the sights, soaking in the atmosphere and pushing the pedals one stroke at a time. All 2015 Tern models are available at Tern’s Premium Dealers and all Rodalink Outlets. Someday the Tern VergeX18 will replace the horsey power on this wagon. Chicken Rice served in balls are the perfect recovery meal in Malacca.